Carpet and upholstery cleaning that is good for you, good for the carpet and good for the environment! Our company uses a low moisture and Wool Safe system. 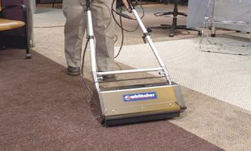 Your carpets are being cleaned the most efficient way and are dry in just a couple of hours. Change the color of your grout to any color you choose. Want an inexpensive way to change the appearance of your tile floor or shower….color the grout. This will give any tile floors, counter tops, shower floor sand shower walls a new look. Nearly 100,000 dust mites can live in one square yard of your carpet. 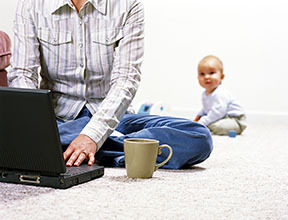 Bedroom carpet and household upholstery support the highest dust mite population. Most allergies occur due to dust mites. Dust mites like to live where it is moist and Florida is the perfect place for them to live. Keeping your home cool and having your carpets and upholstery cleaned on a regular basis will reduce the dust mites in your home.